Internet is full of opportunities and making money online has become the dream of many people. Blogging is still a very popular way to earn an income, as there are different methods to monetize a website and its traffic. While Adsense seems to be the most common choice, in this post I want to write about a valid alternative: Infolinks. Registering to Infolinks is very easy. Just visit the website homepage and at top left, click on “Join us”. After entering your website in the first field, you can simply sign up with your Facebook credentials or add your full name and email. The application process seems quite fast, as you’ll get notified of your approval within 24-48 hours. After being accepted, you may choose how to integrate the Infolinks code, depending on the platform you are using. 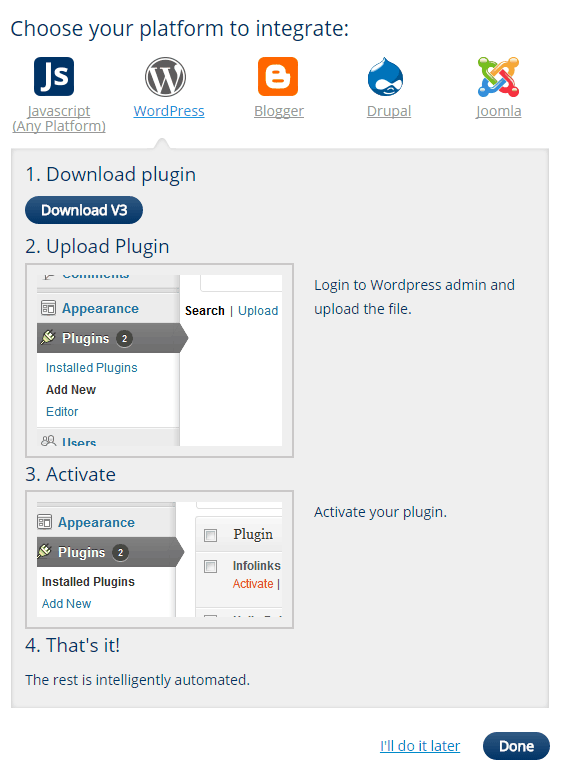 With WordPress is pretty easy, just download the plugin and activate it. You don’t have to do anything else, as the plugin will automatically set everything (included your website ID). As a publisher, you can choose between 4 different ads, to be displayed on your web pages. They have an original and unique design and they look quite different from Adsense (so, yes, you can use Infolinks and Adsense on the same website). You can even personalize the ads, depending on your blog theme and colors. This ad seems to be the most converting unit. 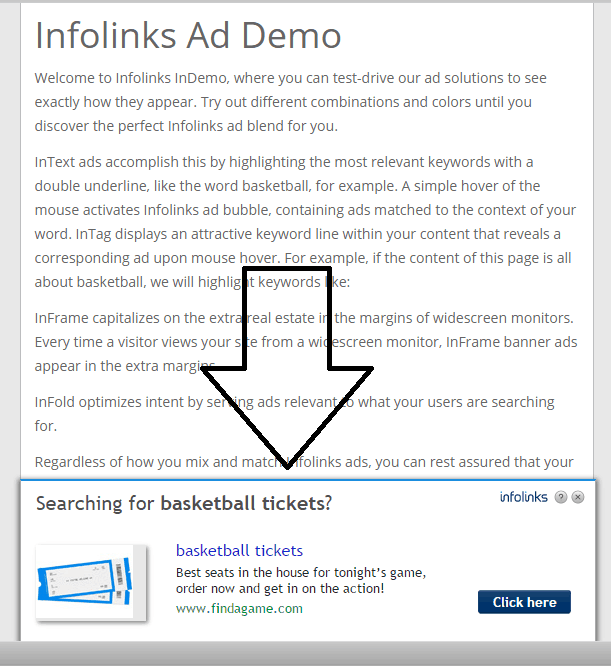 Infolinks will show a specific ad depending on the keywords in your article or the queries of your organic visitors. This ad will likely decrease the bounce rate of your site and is completely unobtrusive. After a few seconds it shows up, it will tuck under the line, almost disappearing. This is the most popular choice. 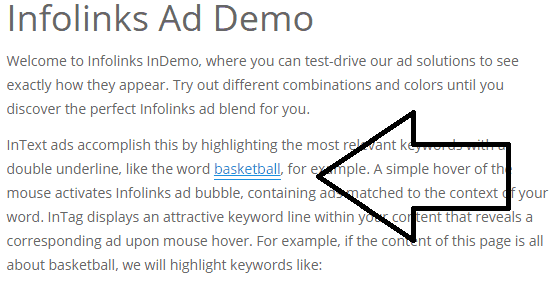 Intext ads will be displayed as hyperlinked text within your content, showing up when users are hovering the mouse over it. If the visitor will continue to read your post without clicking on the intext ad, it will disappear. Note: you can personalize the number of ads in your web pages. This ad consists of a group of relevant keywords, placed within your content. InTag ads are built with related tags. You may want to personalize these ads following your site layout and theme (and, of course, colors). 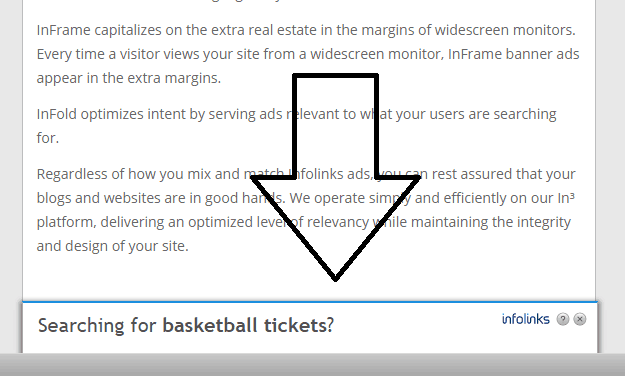 The last Infolinks ad format you can use is the “inframe”. Great for monetizing margins of the screen (perfect for vertical layout sites), it shows banners relevant to your topic. The system will auto-detect when your users are visiting your web pages with a browser window wider than your site and add banners, which are going to stay there while users are scrolling down. Check out the latest Infolinks official video, it’s really a good one! Founded in 2007, Infolinks is now used by more than 100K publishers worldwide to monetize their web pages. I think it can do very well on any topic, but most of all in niche sites. Tip: do you want to create a new site? You should consider finding high paying keywords. You can make more money then using Adsense and Infolinks. Whether you are looking for a new way to monetize your blogs or an alternative to the methods you are already using, I suggest to give it a try! Have you heard of Infolinks? Are you using it on your web pages? Actually I used to use it, but I stopped using it because I thought it would disturb my readers in reading my content. What do you think about this? Indeed, when I read this review from you, I am interested to start again. And I hope I can be successful this time. As I recall, the price of every single click is very small. Well, that’s just my thoughts though. I have joined Infolinks 5 years ago, and made my first $50 online. Then stopped using it for a while, like you. I think it’s perfect for niche sites, so I’m adding it as an alternative way of monetization. Thanks for commenting, have a good one! just contact me and i am giving you 100% commitment that you will get adsense. InfloLinks is an awesome and powerful alternative to AdSense, pretty straight-forward, mostly accepts all the requests, and great at support. I do love them and have used them years ago on one of my blog! 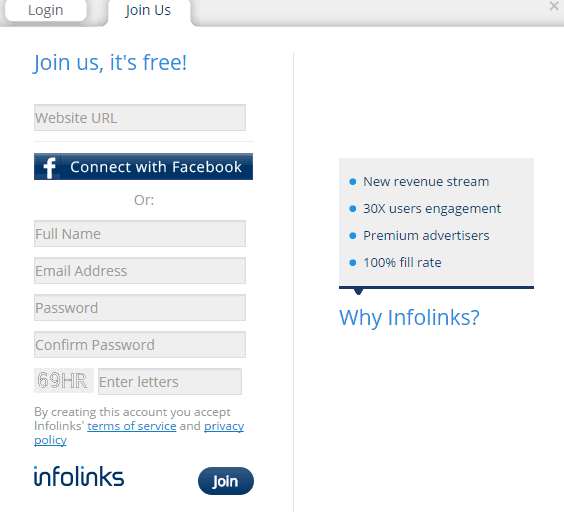 When I am going to try something to monetize, will definitely give InfoLinks a try! Thanks for the writeup! Gotta share on my social profiles! Glad to hear you noticed me around blogosphere, it means a lot. 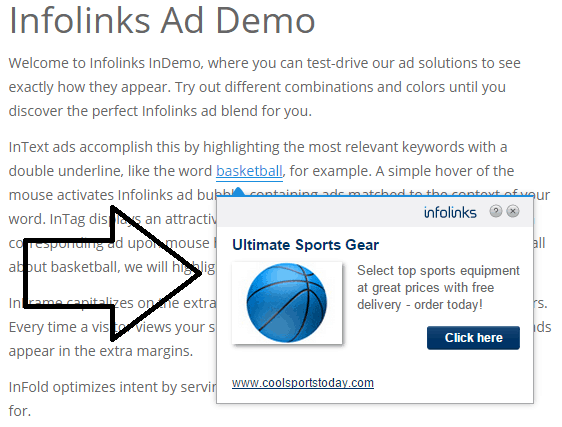 Infolinks seems to be a great Adsense alternative. I’m using it on some of my niche sites. Thanks for sharing your views, Edwin. 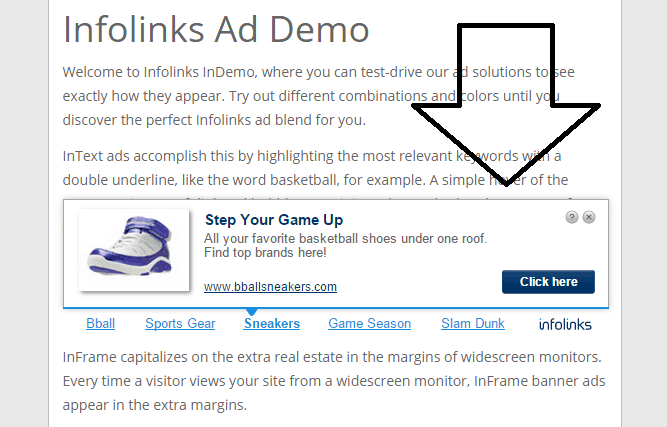 Thank you for this tutorial, i have been using infolinks for a long time now, it is pretty good i must confess; just that at times the ads mis behaves and tend to make your blog look un-proffessional. just be sure to not overdo, adding too many ads. It’s good to hear you care about your readers, John, and you don’t overdo with too many ads. With longer posts, yes, you may want to increase the number of placements. But always put yourself in the shoes of your readers, and you will know what to do. Thanks for sharing your experience, and have a good one! Just a heads up through the response you’ve left on my article. Indeed found this article as well as the blog “No Passive Income” really informative. Interestingly though through my first visit I got a great vivid view of it’s user engagement which is really great. Thanks for your kind words and feedback, Bishal. Good to see you reciprocated my comment at your blog. Same here, I wish to apply Infolinks to all my niche sites. Thanks for being here, hope to talk to you soon. Your post is so timely! I just started using Infolinks on both of my sites! Of course, I set them up using the Intext option, but after reading your post I changed one of my sites to Infold to see what kind of difference I may see. I guess the income you may receive from Infolinks heavily depends on the quantity of your traffic. If from search engines, even better. to check if you are satisfied with your results. As I said, I would use Infolinks mostly on niche sites too. Thanks for visiting and commenting, have a great weekend. Hi Erik, great to see you writing about Infolinks here. I used to use Infolinks to monetise my first blog many years ago, and my click through rate were far greater than AdSense at the time, but the CPC wasn’t that great. With AdSense I’d get between $1.50 and $3 per click, but with Infolinks I used to get no more than $0.20 or $0.30 per click. I haven’t used it since, I’m wondering if the CPC has improved with Infolinks? I still use AdSense on my parenting niche site and tech site, but might consider trying Infolinks again if the CPC is better than it used to be. Thanks again for a great write up on this. great to see you, mate. I haven’t used it since then. Since a few days, I started applying the system again to my niche sites. It seems to work pretty good now. Have a great weekend, Fabrizio. I really appreciate your visit and comment here today. Nice post my friend but I don’t like infolinks as it makes a blog look spam because it can add link anywhere in the text plus the ad comes from down makes the site look even worse. Moreover, it is a good source of earning and the best alternative of Adsense. well, it really depends on the number of ads you want to put on your site. Of course, if you enable all the features all together, the site may look a little bit “spammy”. Thanks for sharing your views, have a good sunday! Great post , i am going to use infolinks for my new blog till i get adsense approved. Though it looks like the earnings cannot match adsense earning but it is good to start with infolinks to monitize the site. Let me know how it goes, Mukesh. Glad you liked the post and that you are going to implement Infolinks. What a wonderful review about Infolinks. I did read a review on Infolinks from Enstine’s blog and now I see you go deep in your review. In the past, I have used Infolinks but I stopped because I was very insignificant earning from it. However I see that they have added new features. So maybe I will revisit it again. Now they added some new features, so I started using Infolinks again. May be you should give it a try one more time! Great post. I really do understand how infolinks works now. I am glad it is that easy. I think I will give it a try! Glad you liked the insights. 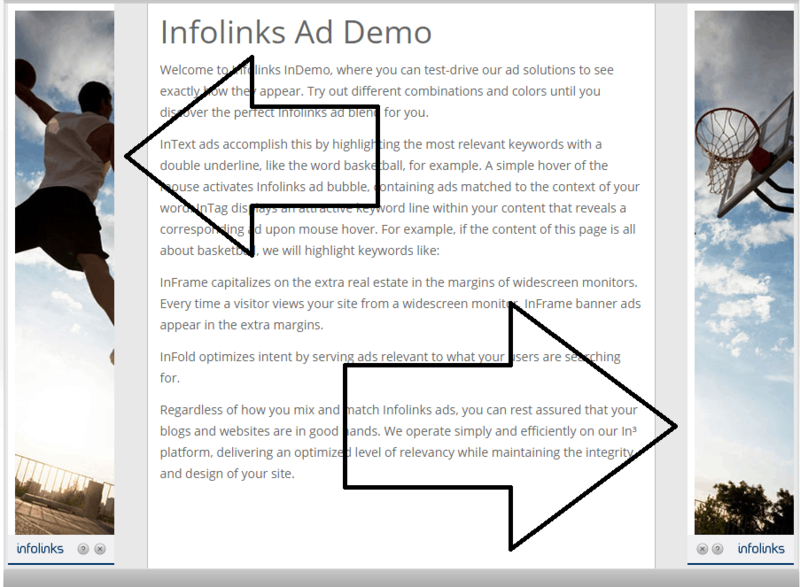 I have been reading a lot about publishers that sign up for infolinks and I must commend their recommendation for this program as the perfect alternative for Google adsense. It seems to have more ‘flexible’ signing up requirement compared with adsense. The features of personalizing the infolinks ads to meet with the design and content of the website is pretty remarkable. The positives outweigh the negatives from this review. It would be lovely to test out this program and see how the conversion works! I shared this comment in kingged.com where this post was shared. Recently Infolinks improved their system and design. It seems that many bloggers are jumping into it again. Great Article Erik and thanks for sharing. My question is can anyone say what’s the current CPC amount? It really depends on your content and topics, Katyan. I meant, keywords and tags. I hope I can make money with Infolinks after reading your tips. Good luck with Infolinks, Andy! Yeah, Sure it gave me some bucks and it worked well for me. And yeah, it is the best alternative of adsense. It will help anyone to make some more bucks from websites/blogs. If you have enough traffic. Good to hear your positive experience, Romjan. Personnaly i dont use Infolinks on my website because i think it annoy visitor. I think Infolinks works well on niche sites, Smachizo. According to my perspective Infolinks is finest ways to maximize your revenue. It`s really best adsense alternative in terms of monetizing our websites . Have tried infolinks a long back on my education blogs and I guess it generated some money but I wasn’t satisfied with the outcome since the CTR was very bad. I’ll have to use infolinks on other blogs. On particular niches, it may work well, Christy. Thanks for sharing your experience with Infolinks. Quite informative post Erik. 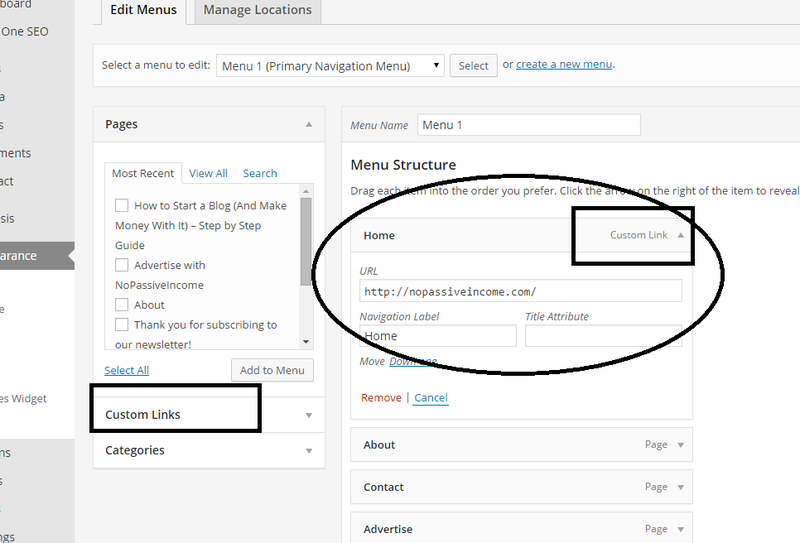 It describes how to set up Infolinks ads briefly. Well navigated post showing necessary information to be needed to earn money by Infolinks. Thanks a lot to share such information. yes, I’ve tried it on my client’s site but not so much beneficial. Actually at same number of pageviews adsense earnings are comparably more. Well, I guess Adsense may have higher CTR. Infolinks is a valid alternative to it, most of all for niche sites. just another query for you Erik, actually I’m also using same theme but unable to create Home page, as whenever I try to create such page, it comes with “mydomain.com/home”. But I want the url of home page as you have. Need your help. I’m not sure to understand what you mean. Homepage is set automatically by WordPress. I did not create a new page for “homepage”, it’s just already set. Your primary nav menu is showing a Page named “Home”. How you pointed that link to your site homepage ? Ok, thanks, I see your point now, Nitin. I accomplished that in WP dashboard, under “appearance”—>”menus”. This Genesis personalized theme supports two menus (primary and secondary navigation). So I added “home” with “custom link” feature. Its working fine now as I want. You solved an important issue of mine. Thanks again for such support. That was well put. I have heard about infolinks in the past but never read an article that explained it so well. I have a question though. When is the best time to add ads like infolinks on a particular site, like say after how much traffic do you need daily to start monetizing? There is no point in monetize a site, if you don’t have any visitors. One of the in-depth reviews I have read so far. As you have pointed out, there definitely lot of advantages having infolinks under a blogger’s belt. Diversification for income is key. One question though. You said infolinks is good also for low traffic sites. But without having enough visitor, will it make any money? Cheers for an awesome post and keep creating great content! With low traffic blogs, I meant at least 100 visitors per day. then you can start monetizing it. I hoep this blog will keep growing, sharing useful information, as you stated. Nice post on infolink i’ve seen these on many website, it’s nice to see that you have a whole tutorial over how to have it on your WordPress website. I’ve also heard about vigilink, i think you should check that too and write a tutorial on how to get it on your website. Thanks for mentioning that, I heard about it and I surely check it. Glad you liked the review of Infolinks here. good to hear your experience with Infolinks is positive. Sorry to hear about Adsense. I know Google has very strict guidelines. “I’ve just decided to take ads off my site for now. I had adsense and clickbank banners but wasn’t making enough money from them to warrant having them there. When I get more traffic I may consider putting them back but for now they’re gone. Every site has a different audience and what may work for me, it could not for you. I like to try different monetization methods on each of my online properties. Diversification is the best way to go. my adsense account is not approved and i also don’t know the reason behind that. but due to this post i try chitika. this is very good adsense alternatives. Thanks for adding that resource, Ashley. Great article. Before reading this i was confused whether to use it or not. Still have one question arises here in my mind. How many links per page should we use? Good luck with Infolinks, David. Whether you place advertising on big or small websites, the revenue will depend on the amount of visitors. About using a CPA network, it depends on your site topic. I am surprised to read the review of infolinks on your page. I too used this years back and faced a lot of inconveniences especially from my readers and at once i disconnected it from my page, after some time I read another attracting and well written review like this and I opted it for again but unfortunately they rejected my request reason only known to them and I left that there as I am well satisfied with my Adsense account. Another thing is that I am afraid will this clash with the Adsense account if one implement this. Anyways, thanks for the well written review. I tested it long time ago, but I stopped using it right away. Whoooaaaaa….!!! I idnt know Infolink is such an aesome method to make money…. Thanks for this quality stuff mate … and let me try this.. The post is quiet impressive and also thanks for the video I would utilize this ides and implement in my project.